Back in the early 80’s, there weren’t many in the hospitality circle that hadn’t heard the name Vasko Dzanovski. From his humble beginnings as a waiter, Vasko quickly become an entrepreneur in his own right, raising the bar in both culinary excellence and customer relations. Vasko’s expertise over the past 40 years is renowned in Melbourne and abroad, gaining him a respect amongst his peers that is second to none. Although it wasn’t only a passion for his craft that inspired him, it was his love and total devotion to his wife and three children. The dedication and determination required for the hospitality industry comes hand in hand with huge sacrifices. None the less his family was always his first priority. So it was in the summer of 2000 the Dzanovski family came together to create the essence of family with the opening of their first restaurant, appropriately named, Vasko. Nestled in a quaint suburban street in Macleod, where the family was raised, Vasko soon became a home away from home for both the locals and abroad. 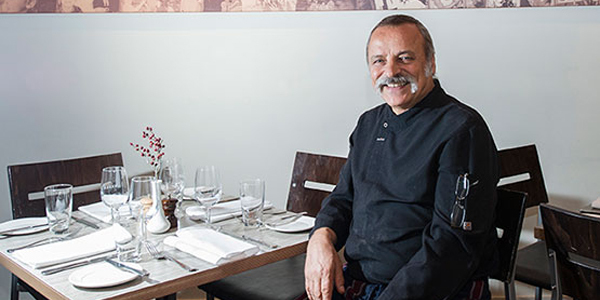 In its seven years of operation, through enthusiasm and sheer determination, Vasko went from strength to strength, providing high quality Mediterranean delights in a homely family atmosphere. Now reimagined in Ivanhoe, Vasko boasts a unique family presence, and a successful fusion of contemporary cuisine with a strong Mediterranean flavour. 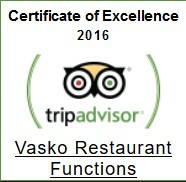 Vasko and family would like to take this opportunity, firstly to sincerely thank their loyal clientele, both past and present, for their ongoing support, and secondly to welcome those of you who have not yet experienced Vasko.